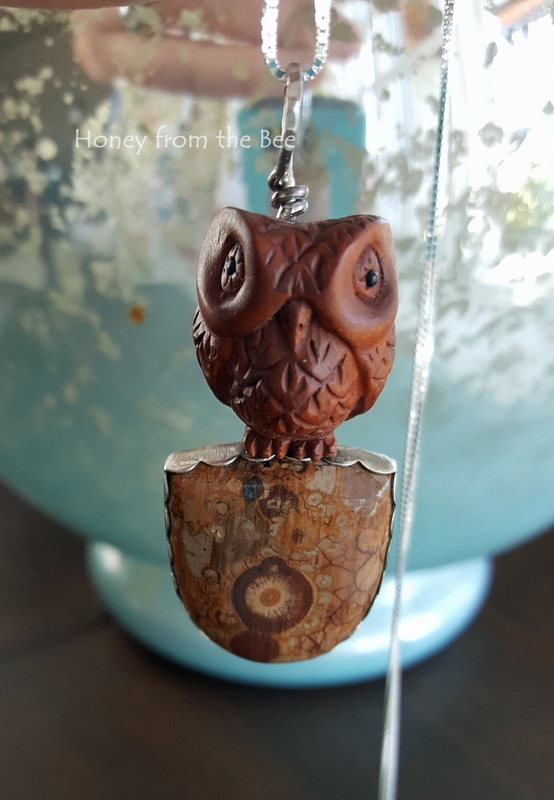 Someone to Watch Over Me is a one of a kind whimsical Owl Artisan Pendant. I've got a little collection of these boxwood carved animals. 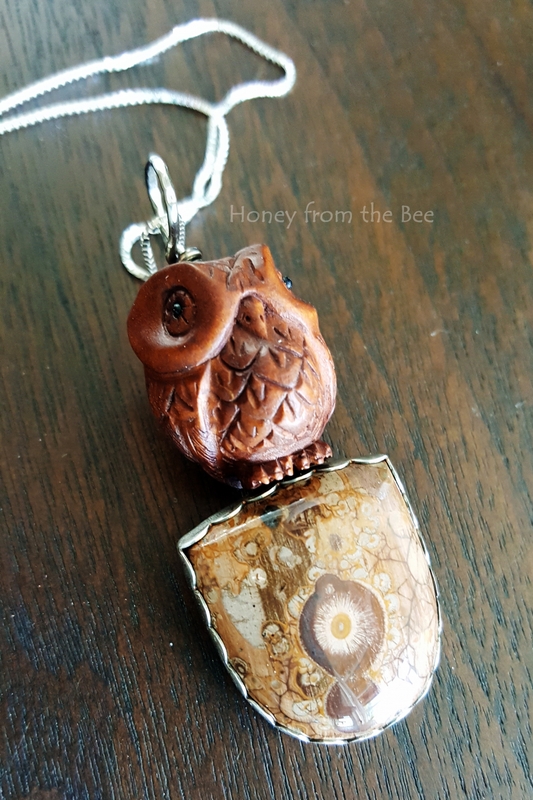 They've been difficult to part with, but this adorable owl was meant to sit atop this Orbicular Rhyolite stone, don't you think? These boxwood carved animals are called Ojime. They come from Japan and were used to push down the rope to hold closed a stack of boxes called Inro. Inros were used, because traditional Japanese clothing, robes, did not have pockets. The detail in them has always fascinated me. Orbicular Rhyolite has fast become one of my favorite stones. I love the different patterns and colors it comes in. This one looked like a tree trunk to me. 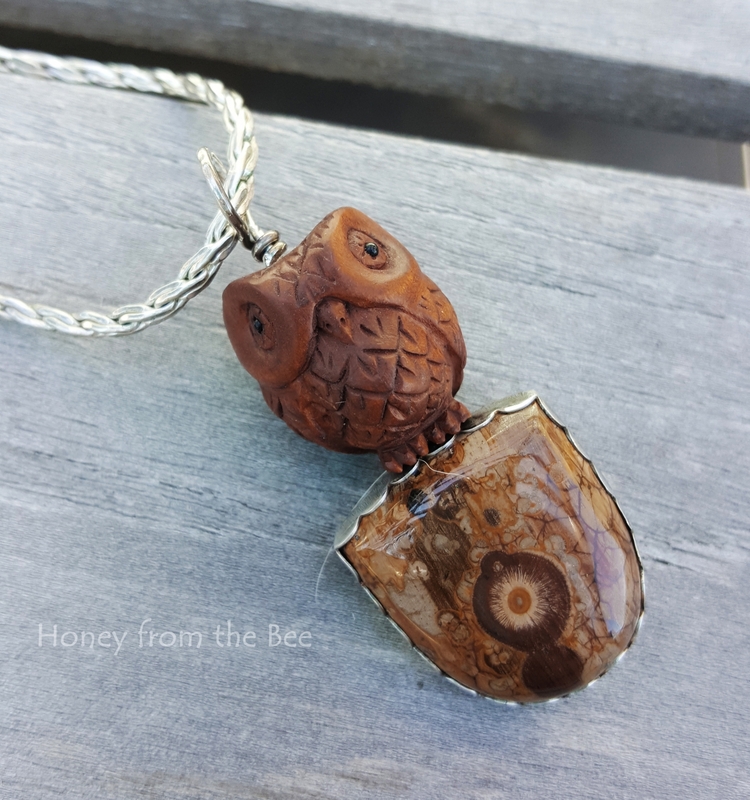 Set in Sterling Silver, this is a whimsical pendant to watch over you always. 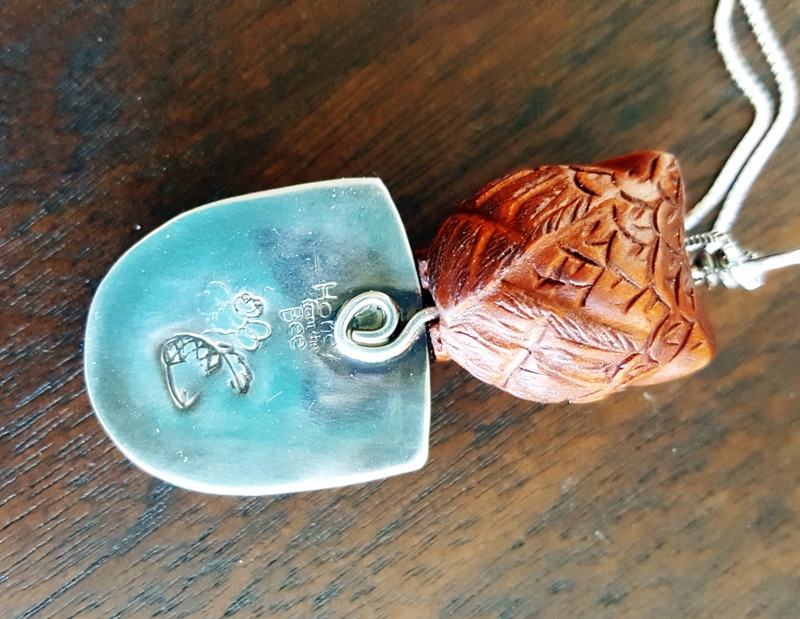 The first photo shows a chain that I thought I was going to use, but I decided to include a 22 inch adjustable sterling silver chain as I think that will work well with this pendant.